As a manufacturer you rely on customized manufacturing aids like jigs and fixtures to ensure quality, efficiency and worker safety. 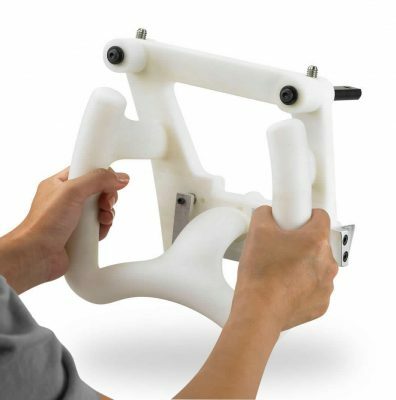 3D printing streamlines and enhances the production of these tools, resulting in greater productivity and better ergonomics. Support lean manufacturing strategies by 3D printing manufacturing tools on demand. Custom tools built directly from CAD can be ready for use in as little as a day. Reduce the time and cost to create traditional tooling, and improve performance and accuracy. Print complex jigs and fixtures that would not be possible with conventional machining and fabrication. Learn how 3D printing lowers the threshold for justifying a new tool. It does this by simplifying the process, lowering the cost and decreasing lead time. This allows you to potentially address unmet needs throughout the production process. 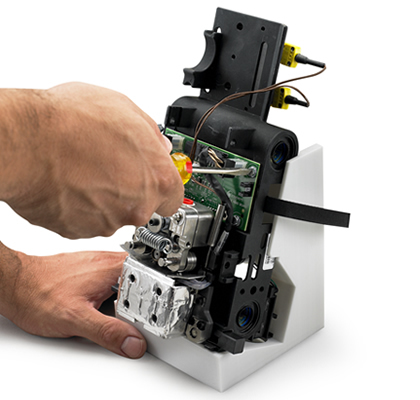 3D printing increases return on investment by reducing the cost of a jig or fixture. Typically, companies realize savings of 70 to 90 percent when compared to outsourced fixtures that are machined or fabricated. Going beyond jigs and fixtures, manufacturing tools that serve as operational aids further broaden the opportunities. They range from organizational bins and tool holders for 5S (a workplace organizational methodology) to templates, guides and gauges. They include sophisticated robotic end-effectors (grippers) and rudimentary trays, bins and sorters for conveyance and transportation. 3D printing also optimizes tool performance. Previously, designs for jigs and fixtures rarely improved past what was sufficient to do the job. Due to the expense and effort to redesign and remanufacture them, only malfunctioning tools received revisions. Print tools only when you need them, which will reduce the cost and the shelf space (warehousing expense), to manage and track an inventory, and cost to locate a jig or fixture when needed. For sporadically used tools, these costs can be quite significant.